This study is topical because currently, insufficient attention has been paid to the contiguity of such important categories of philosophy as the possibility and the imagination. This paper is aimed at exploring the deep connection between these concepts. The main approaches to studying this problem are Epstein’s possibilistic method and Bachelard’s imagination method, allowing to address this issue comprehensively. The article discusses the categories of possibility and imagination and gives their definitions. The article also analyzes the common features used and the possible points of intersection of these concepts. We have substantiated that possibility and imagination are closely related categories, and should be defined in conjunction with each other. This article primarily discusses Epstein’s concept, described in his book “The Philosophy of the possible”, and Bachelard’s position. 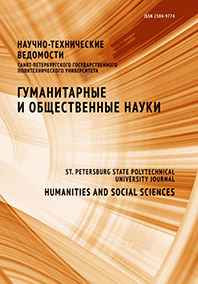 The materials and conclusions of the article can be used to develop lecture courses on ontology, methodology and theory of knowledge, epistemology and philosophy of science, philosophical anthropology and philosophy of culture.